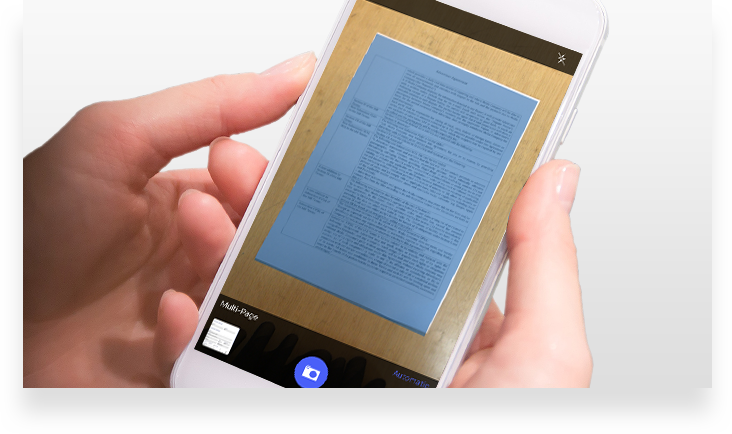 Our free PDFelement mobile App enables you to read, edit, convert and sign PDFs from an iOS device. 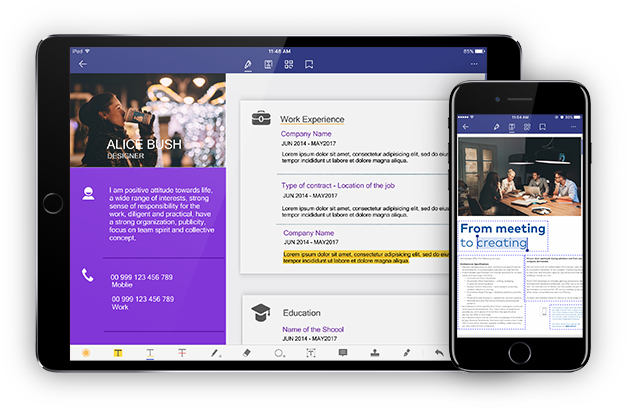 Edit text creatively and professionally on your iPhone or iPad. Change font style and colors without losing formatting. 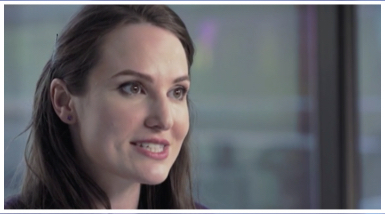 Perform markups with highlight, underline, and strikethrough tools. Use our freehand drawing tool or annotate with sticky notes. 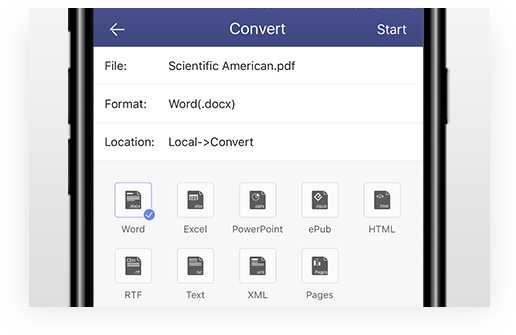 Convert PDFs to other file formats like Microsoft® Word, Excel®, Power Point®, HTML, image files, and more. Fill text fields to complete forms. 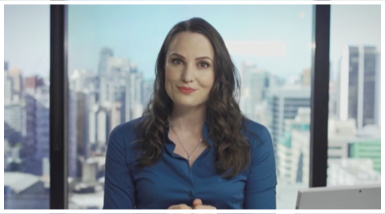 Insert handwritten signatures, or sign electronically. 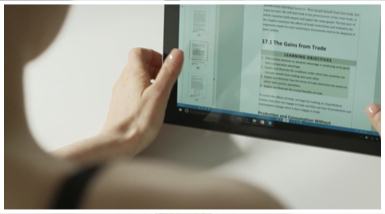 Reorder, rotate, and delete pages in your PDFs. Transfer your PDFs via WiFi Connection across different devices. Connect PDFelement to Cloud Storage such as Dropbox or Google Drive to access and upload your PDFs anywhere. 1. For a limited time, unlock all PDFelement features for FREE by signing up for a Wondershare ID. 2. Improved UI/UX, with all-new adaptive UX design specifically for iPad. 3. Improved document management operation. 4. Auto-recognition on target objects during scanning. 5. Improved file conversion UX. Have I’ve used their desktop tool for a long time. This iOS version also has great performance.performs great as well! Now I can make changes on my PDF wherever I go. Time saving!It’s a real time saver! 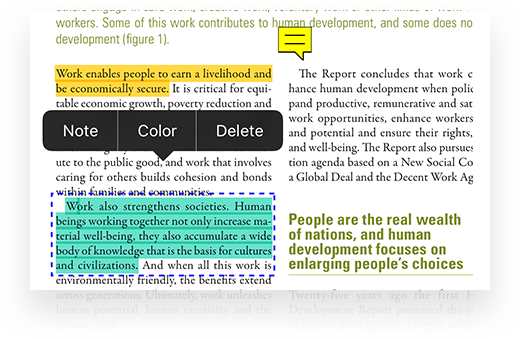 I've tried a lot of PDF annotation apps. 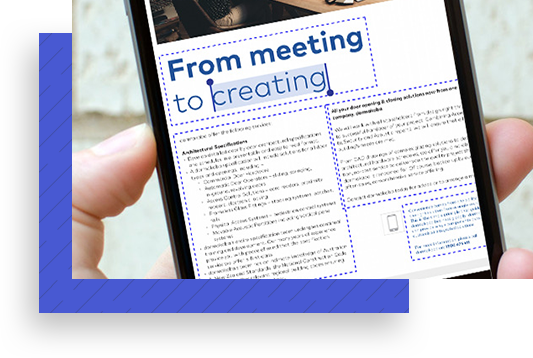 This one makes itIt is easy to markup and arrange reorder and arrange PDF files. PDFelement has aAbsolutely awesome features where I canthat let me convert PDFs to word, excel, etc.and more! So brilliant ! Love it so much. This app saves me so much time and paper. , it's intuitive, and has every feature I could wish hope for. 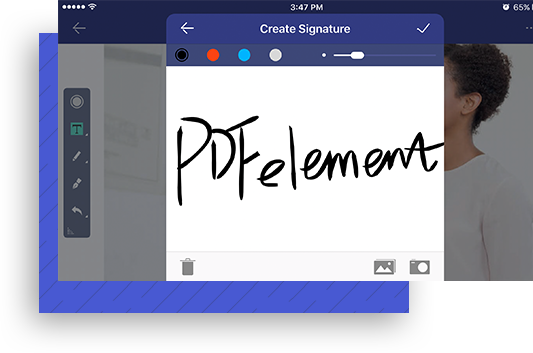 PDFelement for iOS lets you easily edit, sign, annotate and convert PDFs on iPhones and iPads.